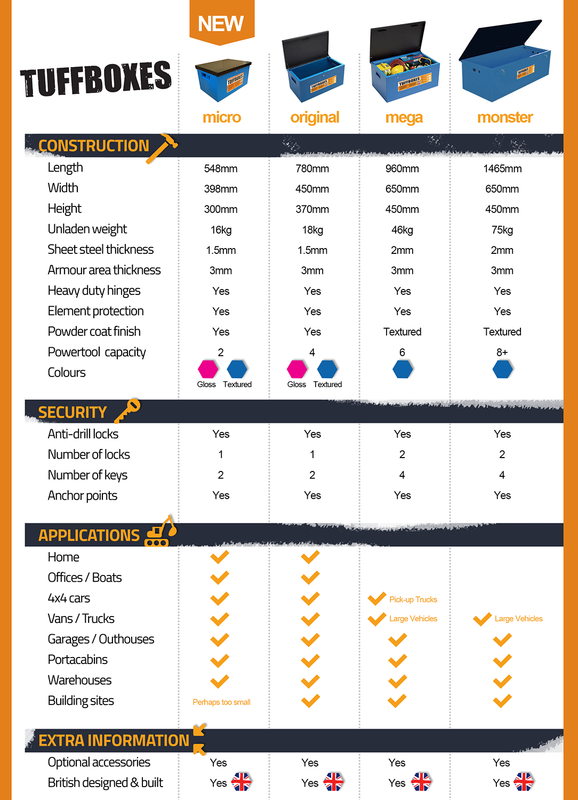 Safe tool storage is one of the fundamental problems facing all tradesmen from sole-traders to construction site staff. With a Tuffbox tool box you’ll be able to store anything from four to eight power tools, as well as a range of accessories and hand tools securely. Anti-theft hinges, lock and lid make the Tuffboxes a great addition to any secure storage solution.